said R.S. Wurman back in 1989. Today, I couldn’t agree more with him: Devices frequently described as ‘easy to use’ can be highly challenging. Recently, I have been playing around with an iPhone for a prolonged period of time (NB: I’m a BlackBerry user). As apple products, iPhones are meant to be user-friendly and highly functional with an intuitive design. However, my experience was different: I wasn’t really sure how to make a simple phone call or write a text message (I learnt that Apple has various text message services, apparently). The reason, as Wurman also mentioned long ago, is that Apple products ‘are not very informative.’ Apple assumes we know how to use each device because we are familiar with other Apple products, or we will figure it out soon enough anyway. The goal of this post isn’t to discuss whether iPhones are user-friendly, but to extrapolate the experience of ‘using a device’ to other situations which are often described as ‘simple’ (e.g. ordering a coffee) but that can end up being equally challenging experiences. Although my own experience with iPhones may not be the same for everyone, for some people it is; and it indicates the role of ‘familiarity’ in the process of understanding and making sense of a situation. A situation can be everything from routine actions (simple?) like brushing teeth, going to work, and using a device, to more infrequent scenarios (complex? ), like starting working on a particular project, facilitating a meeting, or making yourself understood in a foreign country. When we are making sense of a situation, we look for familiar structures or processes responding to a familiar way of thinking or doing, and also we try to connect that situation with what we already know (background knowledge). When familiarity is very minimal or does not exist, it is harder to achieve an understanding of a situation; and we can get frustrated and experience anxiety as we cannot find connections or determine from where to start making sense. 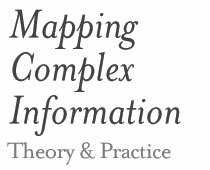 What is the role of familiarity and expertise in the processes of understanding and sensemaking? How much is actually about learning and acquiring new skills, and how much is actually about using background knowledge? One the one hand, familiarity is connected to our background knowledge which broadly constitutes past experiences and a repertoire of acquired skills. That is, we have previously experienced a range of situations from which we have constructed baseline knowledge (degree of familiarity) to deal with situations of similar characteristics. We rely on that knowledge to smoothly navigate any situations, make connections and interact with all components, and, only if necessary, we construct new bricks of knowledge. When we are highly familiar with a situation, we go through a less demanding cognitive process. However, being very familiar with a situation also requires to be more awake. When we are highly experienced (very familiar) with a way of doing (e.g. solving a problem, making a coffee, going to work) or a way of interacting (e.g. using a device, talking to people, speaking a language) we approach familiar situations without thinking because we already know (or we think we know) what we have to do. Of course, this behaviour is unconscious: we have internalised the set of actions and skills required to deal with those particular situations (e.g. riding a bicycle) and therefore we don’t have to think of what we are doing; we just do it. Although being an expert or highly familiar with a situation may be seen as having more pros than cons, when we do things in autopilot we are less likely to notice things, to learn, and sometimes to fully understand what we are doing or need to do. How many times, for example in our commute to work, we have disconnected from what we were doing and all of a sudden we were in the second tube without even noticing it. Familiarity breeds confusion. Those afflicted are the experts in the world who, so bogged down by their own knowledge, regularity miss key points as they try to explain what they know. An example of this situation is when clients find hard to explain their own projects: they are too immersed in their work that they struggle to explain the more basic aspects. We could connect it to a similar previous experience (e.g. the use of an older model of same phone, a previous project with similar characteristics). We are already familiar with the situation (e.g. we have used the interface before, we are experts on the topic of the project). We aren’t familiar with the situation but it is clearly explained to us and we are able to fully understand it. We are not familiar with the particular situation at all (e.g. we never used that particular phone before, we never work on a similar project before) and we need to figure out the situation with out help (e.g. no instructions). To conclude, never assume that the other person knows the same things you know, and that what you think is obvious or irrelevant, it is for them too. At some point, as users, information designers, educators or clients we need to (1) explain something to someone, or (2) help make sense of a situation. In any case, we should always have a beginners mind to (1) ensure we are explaining each necessary aspect to help the other person understand and (2) to ask all necessary questions to gain full understanding. This attitude will improve communication among people, help reach understanding and become more skilful users. – Wurman, R.S. (1989) Information Anxiety. Doubleday.